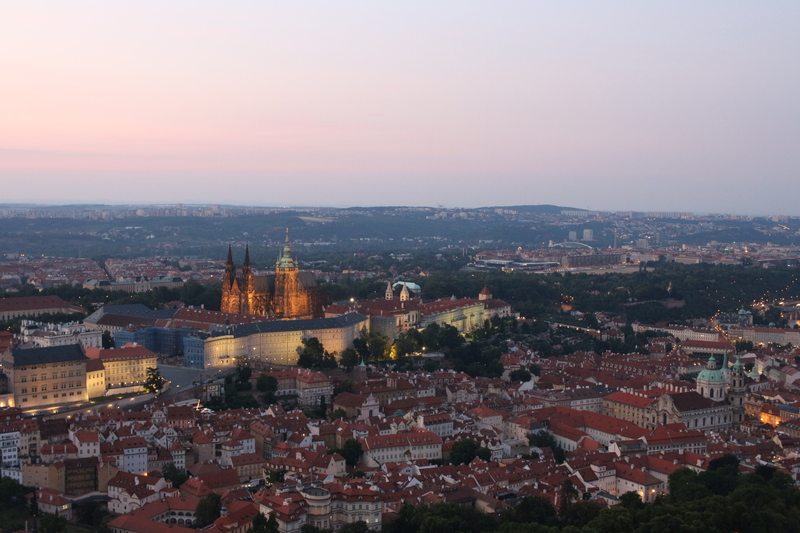 Firstly, I want to say that Prague and I got started on the wrong foot, but I still ended up loving it! You see, I had traveled all the way from Paris to Prague by train, yet it wasn’t until I was leaving Berlin and heading to Prague that I had any problems on the train! Even though I had bought tickets online to get me from Berlin to Prague (altogether about 75 Euros), because I used a credit card that was about to expire and I therefore left at home, I HAD TO BUY ANOTHER TICKET! I tried showing them my passport, my driver’s license, and four other credit cards that I had in my name, but because I had left my AMEX at home they said that it didn’t count! I was so angry that there was nobody around to help explain in English why this was the case and that I had to spend another 75 euros to get there. Learn from my mistake friends! Ugh, I probably could have flown at that cost! The St. Charles Bridge Hostel happened to be right in the middle of everything so once I arrived I dropped my bags and started exploring with my friend Em who just happened to arrive from Mexico just minutes before I did. I almost didn’t want to leave the hostel because they immediately made me feel right at home by offering me fresh espresso, bottled water, fresh cherries, and a playful kitten to watch. After chatting with them a few minutes and finding out that the castle is “up the hill” we wandered up the cobble stones until we found it. 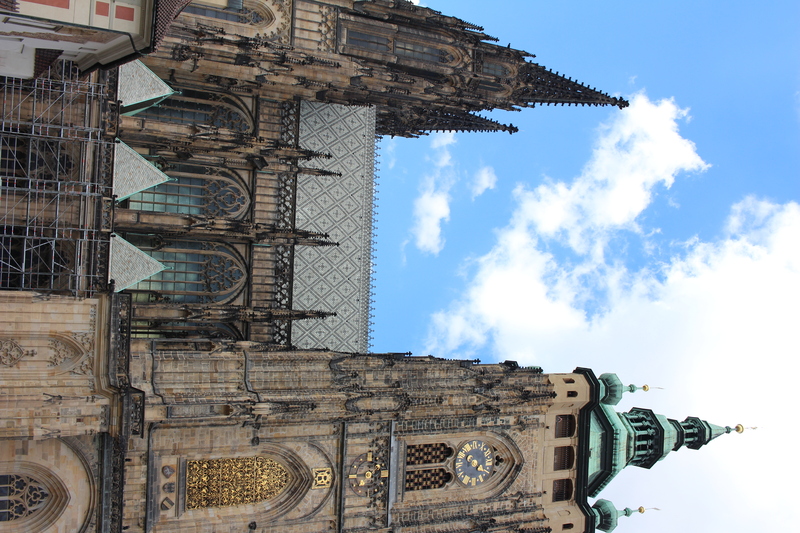 Prague Castle is lovely and St. Vitus church is simply gorgeous! After meandering back down the hill we found out that our hostel offers free city walking tours. lol. The word tour is a stretch because Em and I were the only ones there that night! Our guide took us around Old Town, showed us his favorite cheap beer store (I loved all the cider options! ), and introduced us to the Jewish Quarter. 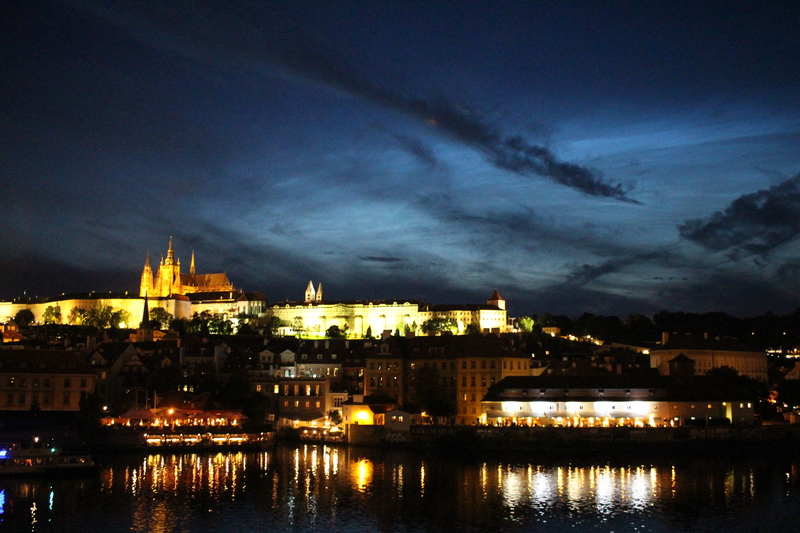 He also promised us free entry to the tower on St. Charles Bridge if we went the next night! After leaving us with a dinner recommendation, we finally met up with my friend W who I hung out with briefly in Berlin. We ate a sampler plate with dumplings, goulash, and some kind of sausage. W had the pork knuckle- it was massive! We started the day early, which was good because Em and I got totally lost on the 15 minute walk to Old Town! Somehow it ended up taking us nearly an hour! We just told ourselves that it was the best way to explore this fairy tale city! 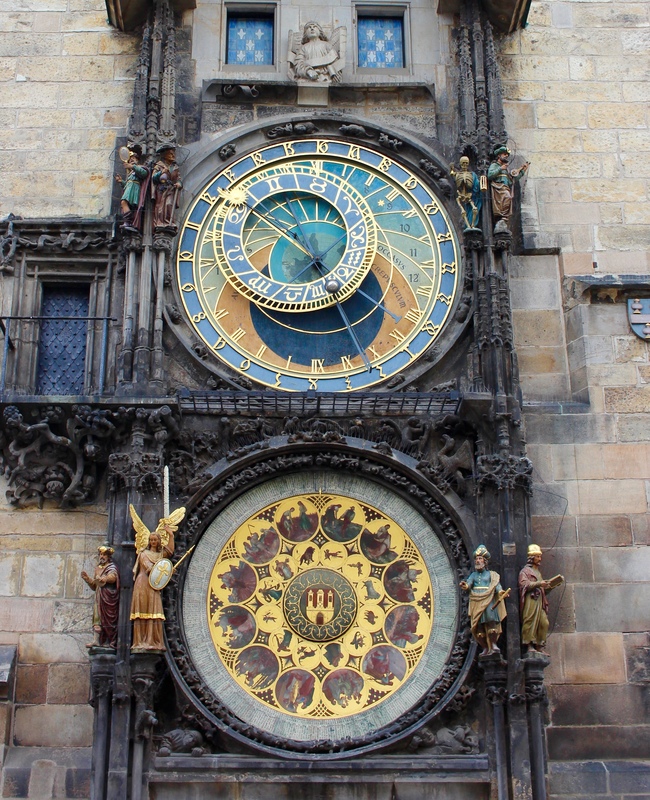 Finally we made it to the Astronomical Clock and only had to wait 15 minutes or so to see the little figurine do its thing. Hopefully I will have time to upload a short video of it. I liked the blue and gold colors of the clock but I was most impressed with the local musicians playing music that reminded us of bellydancing. I loved their medieval clothes and pointy shoes! 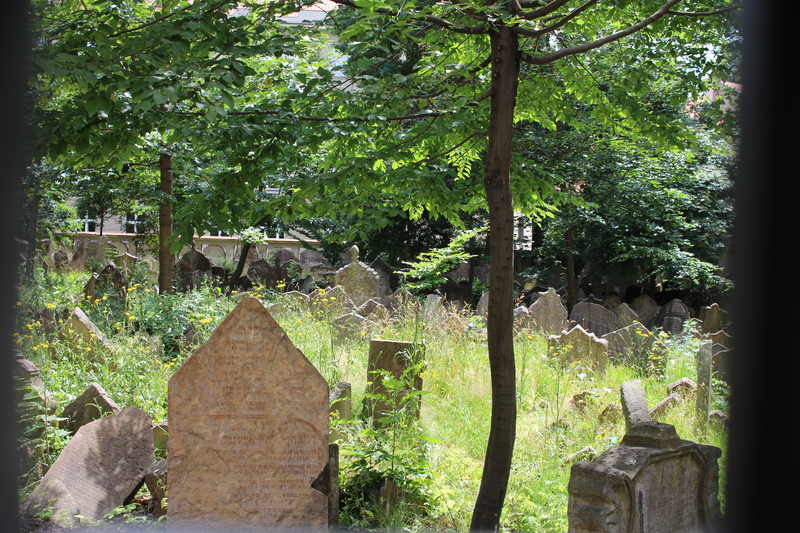 We showed W the Jewish Quarter and peeked into the Jewish Cemetery. We wanted to go inside but the tickets were really expensive AND they wouldn’t let us take pictures inside. From there we had lunch at Restaurace II Benedikta where we all had the roasted duck that Prague is famous for. Highly recommended! After returning to the hostel to change into our “fancy” outfits we went to meet our new guide friend at the Charles Bridge Tower. He wasn’t there. -.- However, we were able to describe him to one of his co-workers and they just gave him a call and they let us in for free anyway! 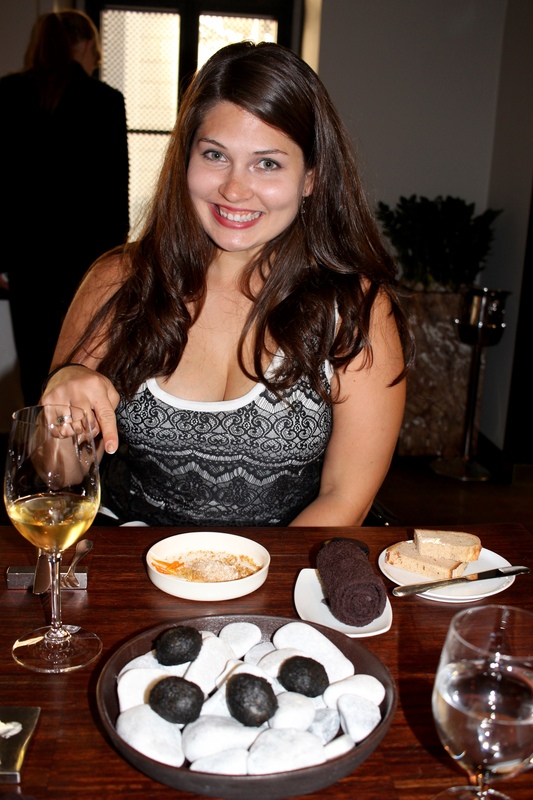 Then we went to the best place in Prague- La Degustation! This was the first Michelin starred restaurant that I’ve ever been to. I ordered the six course tasting menu with wine pairing. It was so wonderful and unlike anything I’d had before. Potatoes rolled in charcoal and dipped into a prosciutto cream sauce- so good! We saw the sunset on the way back to the hostel. After the sun went down the Castle lights up! We started at the John Lennon Wall because it was close to the hostel. We made it just before a large tour group trouped through! Yes! 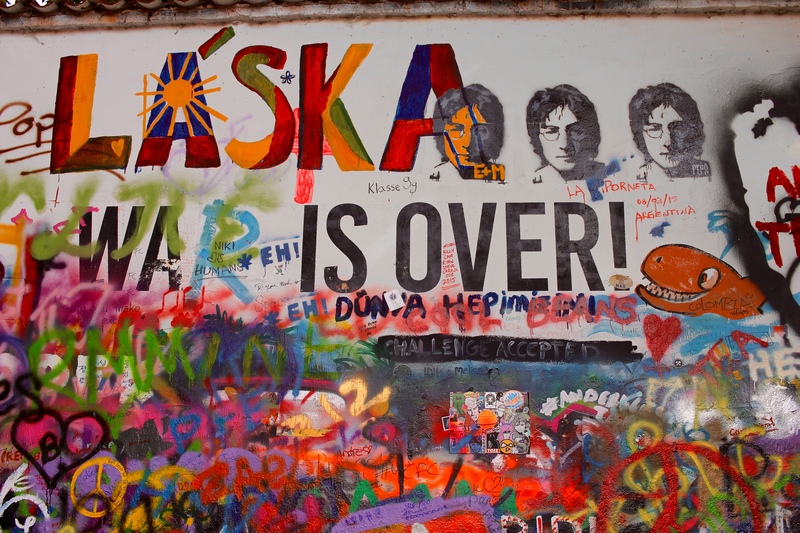 It was the only street art that I saw in Prague and most of it is about peace, love, and the Beatles. It is continuously changing because people are always adding to it. So if you see a piece you like, you better take as many pics of it as you can since it probably wont be there when you come back. I loved this little spot! 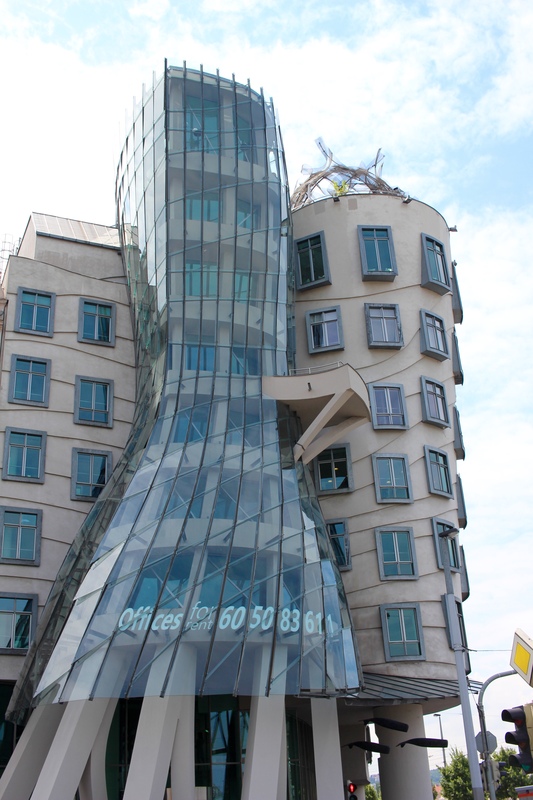 I had really wanted to see the Dancing House and Em wanted to walk. So we set off in the direction of the Dancing House. We took some pictures, peeked into the ground level gallery, and considered going to the rooftop bar, but we decided to continue walking instead. We could see Vysehrad on the hill in the distance and wanted to see if we could make it there. After a little bit of huffing and puffing to get up the hill we made it to the top and enjoyed some great views. We glanced into the church at the top of the hill, but we spent most of our time at the park and cemetery on either side of the church instead. It is a beautiful spot and is not to be missed! We then headed back to our hostel, had them make reservations for us to a Mexican food place at the bottom of Petrin Hill, and then did some free laundry at the hostel! Perfect timing because it was about halfway through my trip! 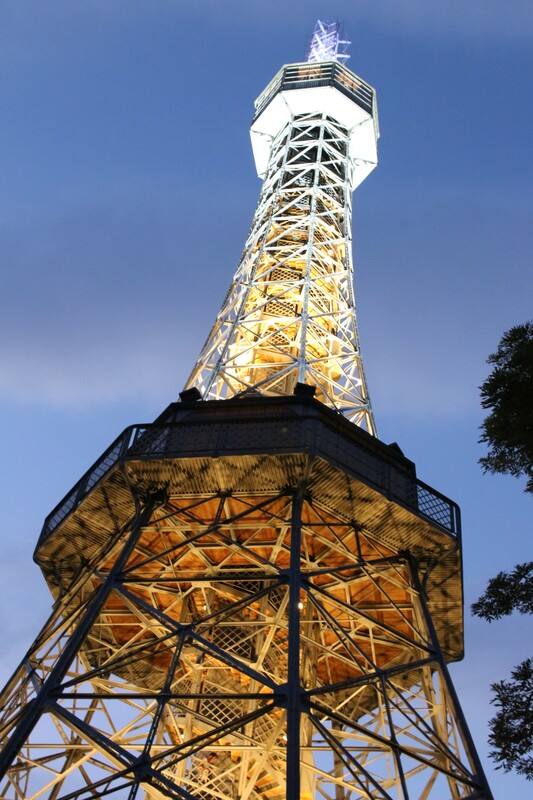 The plan was to eat dinner and then get to the top of Petrin Tower for sunset. Instead, thanks to the slow service at the restaurant, we missed sunset by minutes! It was still a lovely view! Please share your thoughts! What do you think? 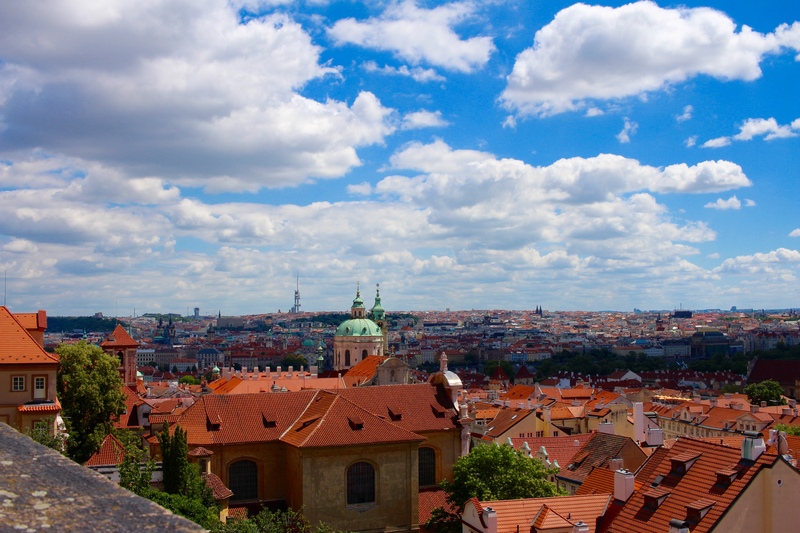 Is Prague the city of your dreams? Have you been before or want to go in the future?